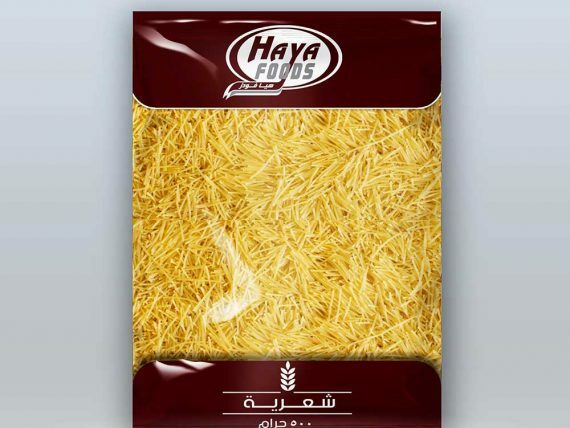 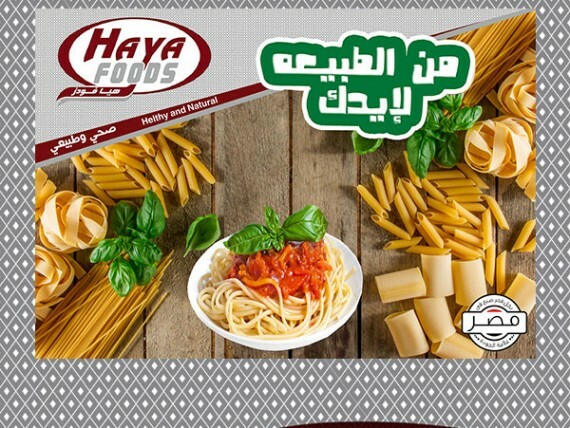 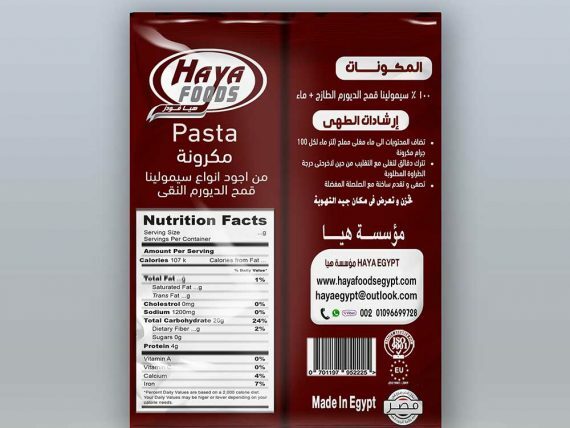 We Produce pasta under the trade name (HAYA FOODS) . we accept manufacturing under the client’s brand names. 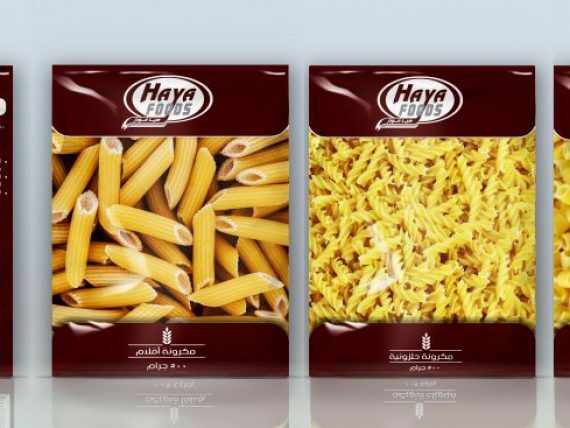 – We have 3 grades of specification and we can manufacture pasta with special customer specifications. 1) 100% Semolina flour pasta . 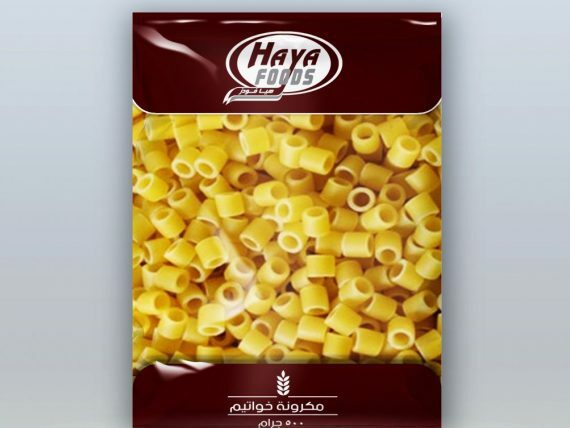 3) 72% durum flour Pasta . 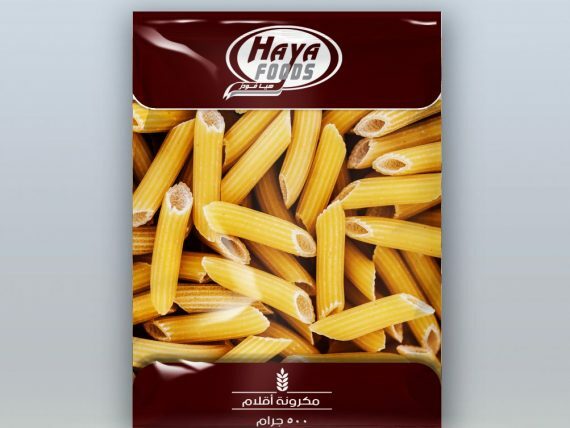 Our pasta comes in bags of 400 gm or 350 gm as requested by the client, and we can supply the product in bags of 10 kg or 25 kg upon request.